Set in natural and black tones. Presented as a set of two. Large Basket – 41cm (h) x 36cm (w). 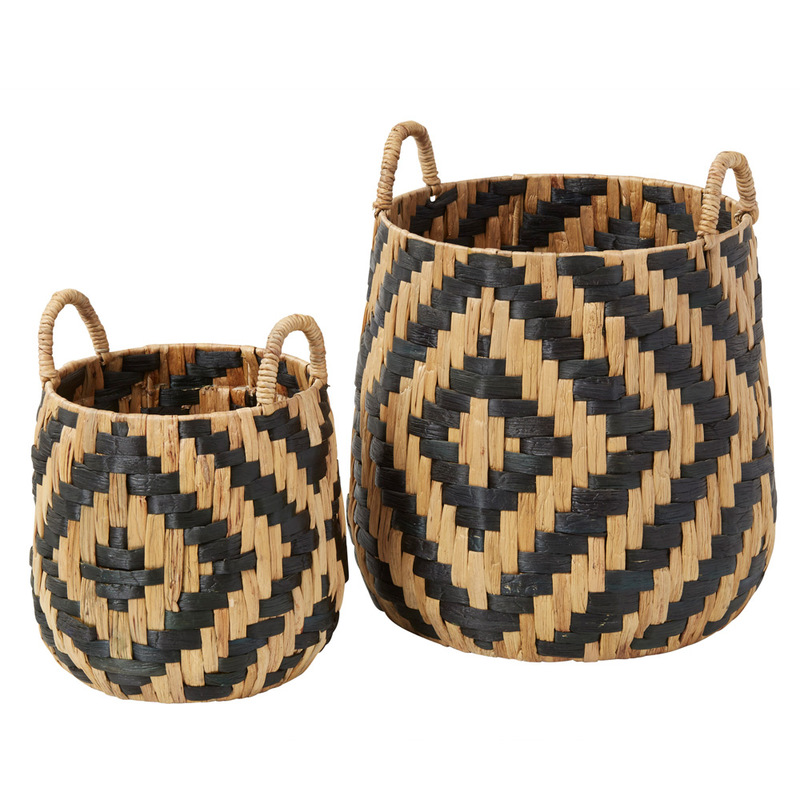 Small Basket – 28cm (h) x 25cm (w).